Yes, but Spanish clubs are facing big challenges in terms of pitch maintenance and management. The number of players has doubled in a decade but clubs only grew by 40% and facilities are basically the same, so they have to endure a much more intense use. 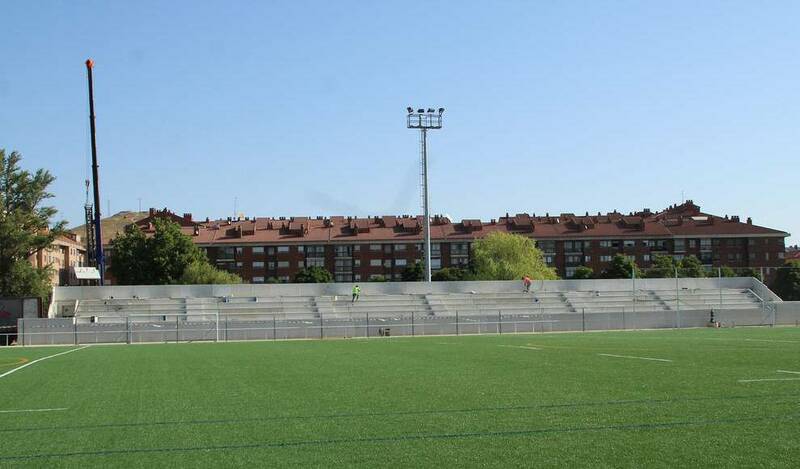 Las Terrazas is the perfect example: Alcobendas had 114 players when Las Terrazas opened in 1997, 267 in 2008, it now has 562. The pitch was exactly the same. No wonder why it was muddy all year long! It's either building more pitches or putting artificial turf and lightning in those already built. Considering all but two clubs rely on municipally-owned stadiums, it's a clear no-brainer. Nice to see some upgrades in facilities going on. A positive sign of the progress the game has been making in the country over the past 5 -10 years. 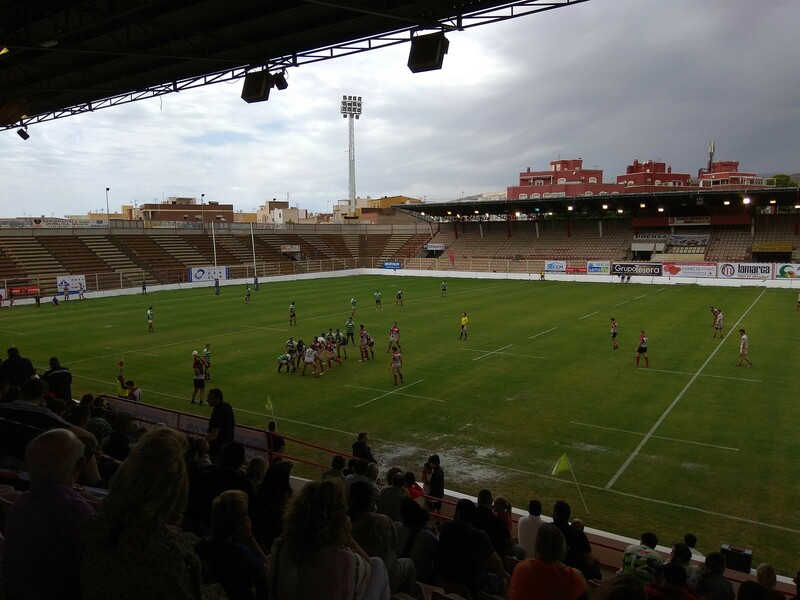 So how exactly did Valladolid become the hub of rugby? Did a bunch of rich expats move there or something? Tobar wrote: So how exactly did Valladolid become the hub of rugby? Did a bunch of rich expats move there or something? A French priest (Georges Bernès, recently died) was studying pilgrimages to Santiago de Compostela back in 1961 and stopped in Valladolid, where he became a teacher in a school where pupils normally did track and field. He asked the headmaster for a rugby ball, telling him he would convince all guys to play that sport. El Salvador-VRAC rivalry comes from a rivalry between schools, that in the late eighties became more serious clubs. Awesome, thanks. The story sounds a bit like a Webb Ellis kind of legend....priest comes over, convinces everyone to play gods sport and then a big rivalry comes out of it. I know it’s true because it’s ina more modern era but itnjust has that Hollywood story. 4N wrote: Spain's Samuel Ezeala aiming to play for France apparently. Interviewed in Spanish radio after his two tries last weekend against Agen Ezeala says it: "My goal, if papers are done in time, is to play with France U20. That doesn't block me yet. Then we will see. Everytime I played for Spain it was honour but now I think about the country that welcomed me"
Hopefully he doesn't make it for France so he can stay with Spain. Not to say I don't want the kid to have success out of spite or anything but I really hate seeing a kid grow up in a T2 country and shoot to play for a T1 country. UBU-Colina Clinic v Senor Independiente got suspended after the latter couldn't register enough players in time according to some sources, or due to lack of insurance by its regional union according to others... In any case pretty shameful, especially considering Independiente's president is at the head of newly-formed club association. So Vigo is the birthplace of Spanish Rugby? Structurally the club faces a big challenge, as it is a 'franchised' club, a union of different clubs from the same province. Now that they found a common home they need to put a bit of order in their underage rugby since it's quite a long way behind usual standards in out country, as well as keep moving forward their women and mixed ability branches. Amusingly enough their veterans team looks like the one with better health in spite of heavy drinking . I leave their link in case somebody needs to plan an oldies tour... 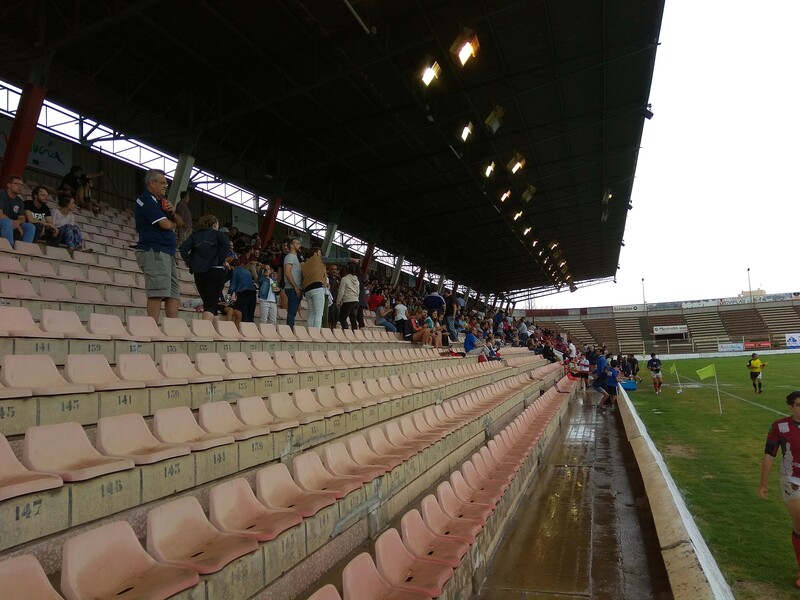 But it's a decent effort for a project that started four years ago and survives in Spanish second-tier league. This is a beautiful sight to see. Owning a stadium is a huge advantage not only because the fans can come and actually see the game from above but because the club can really do whatever they want, whenever they want. This will help a lot with getting the young players out and keeping the club together. I’d love to watch a game here one day. That's a bit amazing. That must have been a crazy funding project. How did they obtain the stadium? Did they buy it, or they got it from the local authorities? I may be mistaken, but on paper they don't own it. It's still owned by town hall but in practice they will have a lot of freedom to manage it (just as it happens with football clubs in our country). The stadium was built in 1976 but got abandoned in 2005 because a newer one was built and ends grandstands were affected by poor quality cement. It's been used only for training purposes since then, so from local politics POV it made sense to give it a new use and I'm told URA's president was quite persistent. Phase I (tearing down one of the ends, making one grandstand accessible, cleaning inside...) cost was just shy of 0.5 M€, while Phase II (tearing down the other end, renovating the other grandstand, enlarging the pitch...) I think will be around 0.7 M€. 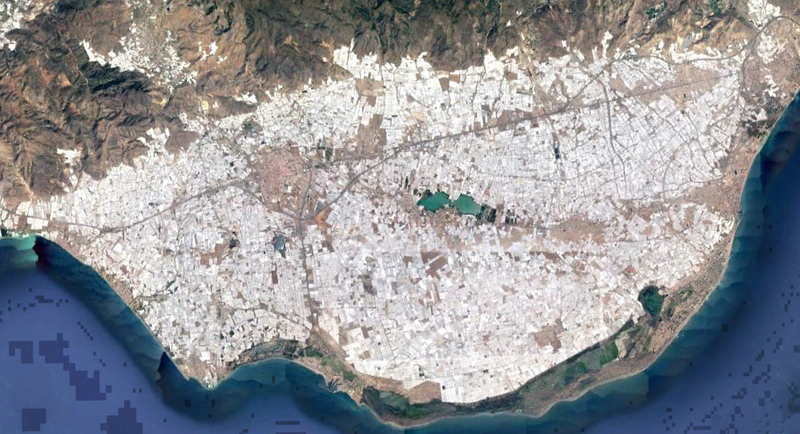 Apparently Almeria is where they shot a tons of Spaghetti Westerns, including the Dollars Trilogy and it also provides a ton of fruit/vegetables to the rest of Europe. During post-game lunch one of the sponsors was giving away tomatoes and peppers, for example. Maybe there are other abandoned stadiums that could be renovated for rugby. How much widening does the field need to be? I don't know the exact measures. The field as it is can host national games for sure, but they intend to bring some test match in the near future and they've been told they need to make it a bit larger to comply with World Rugby requirements. There was a big chance for this November, but it doesn't look there will be enough time to do it. Minimum dimensions for test matches are 106m x 68m. Most soccer fields can accommodate that size. Are they sure the pitch isn't big enough? It would save them money. There is pitch dimensions but I think they need to make sure they have extra space for players and staff as well as “proper” locker room facilities. From the looks of those pictures, the field goes pretty much all the way to the walls.